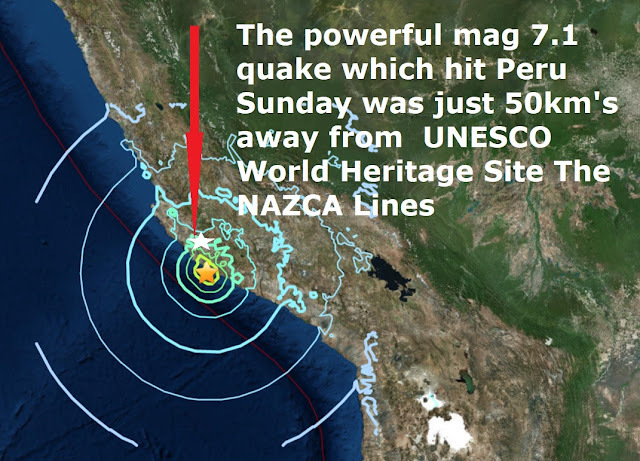 The 7.1 magnitude earthquake struck about 124km south-west of the town of Puquio, Peru Sunday hit almost on top of the UNESCO World Heritage Site, The Nazca Lines. According to Peru’s government Geophysical Institute, the earthquake was of magnitude 7.3 reduced to 7.1 with its epicentre in Lomas, in the southern region of Arequipa, which is around 50km's from the Nazca Lines. The Nazca Lines are a series of large ancient geoglyphs in the Nazca Desert, in southern Peru. The largest figures are up to 370 m (1,200 ft) long. They were designated as a UNESCO World Heritage Site in 1994. The high, arid plateau stretches more than 80 km (50 mi) between the towns of Nazca and Palpa on the Pampas de Jumana, about 400 km (250 mi) south of Lima. Archaeologists, ethnologists, and anthropologists have studied the ancient Nazca culture to try to determine the purpose of the lines and figures. One hypothesis is that the Nazca people created them to be seen by their gods in the sky. Kosok and Reiche advanced a purpose related to astronomy and cosmology: the lines were intended to act as a kind of observatory, to point to the places on the distant horizon where the sun and other celestial bodies rose or set in the solstices. Erich Anton Paul von Däniken a Swiss author of several books which make claims about extraterrestrial influences on early human culture, including the best-selling Chariots of the Gods? published in 1968 claimed the lines were built on instructions from extraterrestrial beings as airfields for their spaceships. 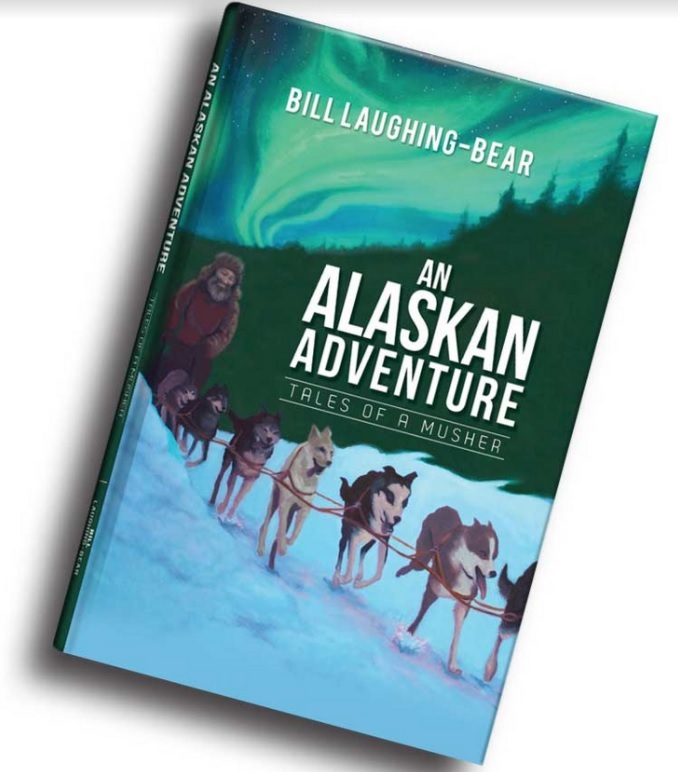 In his 1998 book Arrival of The Gods, he added that some of the pictures depicted extraterrestrials. The idea did not originate with von Däniken; it began after people who first saw the lines from the air made joking comparisons to Martian "canals", and had already been published by others. 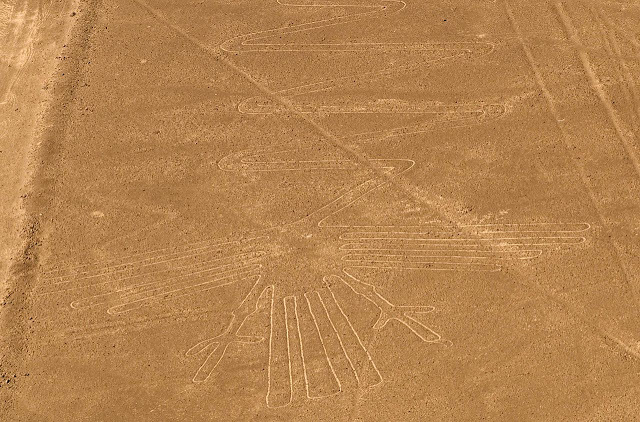 The consensus among archaeologists is that the Nazca lines were created by pre-Columbian civilizations for cultural purposes.